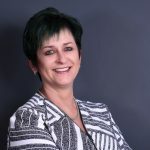 Johannesburg 05 December 2019 – At Dentsply Sirona, we are focused on empowering dental professionals to provide better, safer, faster dental care. We provide innovative solutions to help dental professionals deliver the best possible dental care, for the benefit of their patients and practices. Mastering each step in every restorative procedure is essential for dental professionals to be able to provide the best possible dental care. Dentsply Sirona’s innovative solutions are proven to be both effective and efficient in helping dentists navigate even the most common procedures with greater success. 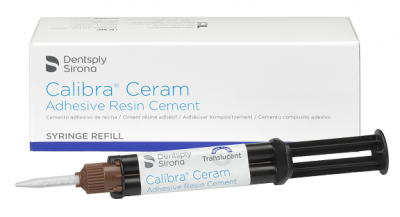 Calibra® Ceram and Calibra® Universal are adhesive and self-adhesive resin cements from Dentsply Sirona, which can be used in both self-cure and dual-cure mode. They complement the light-curing resin cement Calibra® Veneer, which has been clinically proven for more than 12 years for the adhesive luting of veneers. Advanced materials enable smooth contoured surfaces with excellent shade-matching and stain-resistance. Innovative technologies make it possible to do indirect restorations in a single visit. Even though our solutions have been used to increase the effectiveness and efficiency of hundreds of millions of restorative procedures, we are committed to making them even better, ensuring dentists can continue to face each step of every procedure with confidence. Calibra® Ceram offers immediate long-term bonding that is ideal for all-ceramic crowns, CAD/CAM restorations and non-retentive preparations needing maximum strength. 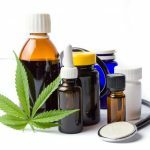 • It must not harm the tooth or surrounding tissues. • It must allow sufficient working time to place the restoration. • It must offer viscosity and film thickness low enough to allow complete seating of the restoration. • It must quickly form a hard mass strong enough to resist functional forces and thermal effects. • It must not dissolve or wash out, maintaining a sealed, intact restoration. Self and dual-curing resin cements can be used for most clinical applications including metal, zirconia, and glass-ceramic restorations. When choosing the dual-cure mode, excess cement at the margins can be removed immediately after brief exposure with a curing light, a technique known as tack-curing. However, some existing dual-curing resin cements have a very small window for tack-curing, allowing the dentist only 1 to 2 seconds of light-curing before the cement becomes too hard. Due to an additional three-component initiating system in the base paste containing camphorquinone, acylphosphine oxide, and an accelerator, Calibra® Ceram and Calibra® Universal have a longer tack-curing time of up to 10 seconds, i.e. 5 seconds per buccal and oral margin. Within this time, the cement acquires a gel-like consistency for approximately 45 seconds, allowing the dentist the time needed to clean up the marginal excess and interproximal areas.